Social marketing experts have been trumpeting the advantages of using social sites such as Twitter and Facebook to promote ecommerce businesses. We wondered how many of our readers are using social media sites as a marketing channel and whether it has helped or hurt their businesses. 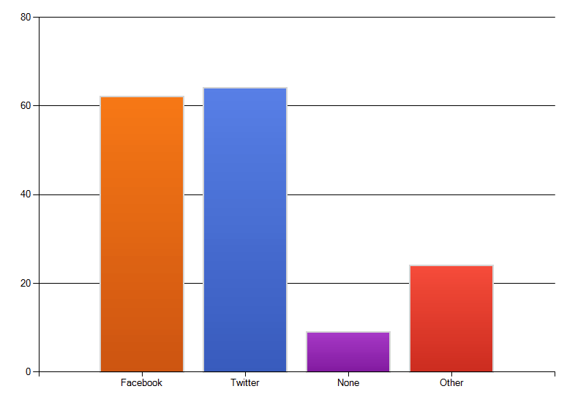 Our February 2010 reader survey addressed the present and future role of social media in ecommerce. The survey consisted of four questions and a comment section below each question. Readers who completed the survey and then provided us with their names and email addresses were automatically entered in a contest to win a $25 Amazon gift certificate. The contest winner, chosen by a random number generator, was Hope Ann Hackett of NexTag. 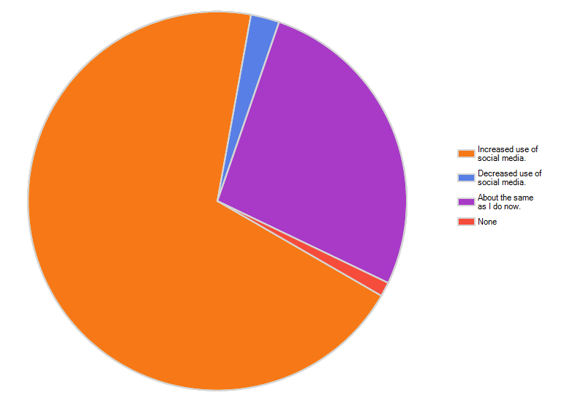 The survey asked what social media sites our readers use, listing Twitter, Facebook and “Other” as the choices. Respondents overwhelmingly named Twitter and Facebook as the top sites. Twitter is used by 75.6 percent of respondents, and Facebook is used by 78 percent. “Other” social media was checked by 29.3 percent. The comments section yielded eight mentions of Linkedin, five mentions of YouTube, four mentions each of MySpace and Google Buzz. The sites Squidoo, Delicious, Flickr, and Ning were also mentioned. Four respondents mentioned their own blogs. Eleven percent of respondents said their businesses do not participate in any social media. Chart: What social media sites does your business use? When asked about future plans, 69.5 percent of respondents said they plan to increase social media marketing. 26.8 percent said they will stay the course and keep social media use about the same as now. Only 2.4 percent of respondents plan to decrease their use of social media, and 1.2 percent said they have no plans to use social media in the future. The comments ranged from those who are excited about the future possibilities of social marketing and are looking into alternate channels, to those who are confused or frustrated by it. Several said they plan to learn more about it. Chart: Do you plan to use social media in the future? Has Social Media Helped or Hurt? We asked if social media has helped businesses, and more than half said that it has, with 18.3 percent of respondents saying social media has definitely helped, and 35.4 percent saying it has helped somewhat. Comments from satisfied users generally touted the increased awareness gained by participating in social media. However, 25.6 percent of respondents are convinced that social media has not helped their businesses, and 18.3 percent are not sure if it has helped or not. Chart: Has social media helped your business? The overwhelming majority of respondents (70.7 percent) said they represent ecommerce companies. The remaining respondents were made up of developers, designers or programmers (8.5 percent), Software, SaaS or other vendor to ecommerce merchants (6.1 percent), or “Other” (14.6 percent). 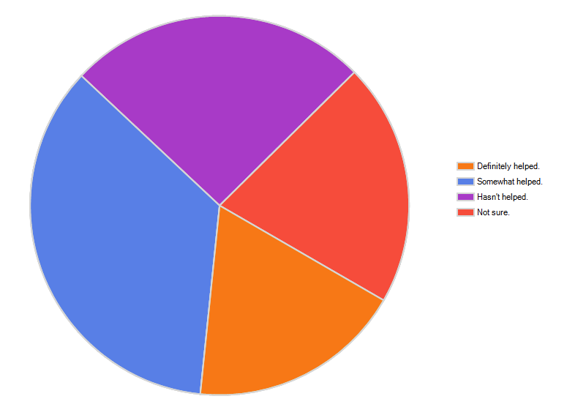 Practical eCommerce’s March 2010 reader survey addresses mobile commerce and how ecommerce merchants are using that medium. To complete the March survey, and enter to win a $25 Amazon gift certificate, click here >. A Social Media Marketing Paradox?